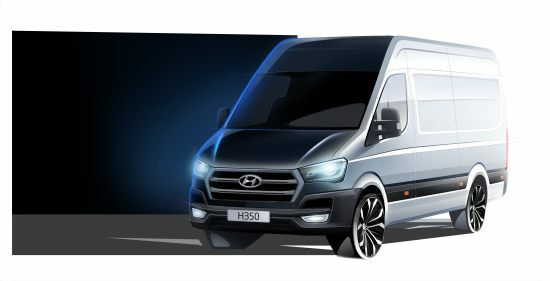 Hyundai is going to launch a completely new big LCV on the IAA. The new H350 has a flexible platform to support three body styles. Panel Van, Passenger Bus and Flatbed Truck. Earlier this year the new Hyundai van was already spotted in Germany during testing. Payloads are estimated of up to 1,4 tonnes and the towing capacity is up to 2,5 tonnes. 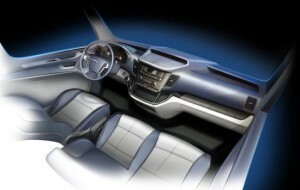 The new van will be produced for Europe in Turkey at Karsan Otomotiv Sanayil ve Ticaret A.S. The first artist impressions look very promising and the new H350 is definitely inspired by the European taste. The exterior looks like e cross-over between the new Ford Transit and the Sprinter/Crafter models of Mercedes-Benz and Volkswagen to us. It’s look like a Merc Sprinter … may it’s an outlook of the separation of Merc and VW … another make will use the sprinter layout instead of VW.